If there's something I can't resist it's candles, although my favourite kind of candles only tend to come around in the Autumn and Winter, I like to look around for candles that I can burn in the Spring and Summer too. Pretty much any candle that isn't cake scented, although they sometimes come out for a guest appearance. I thought I'd give you a little round up of my favourite candles I've been burning this season. 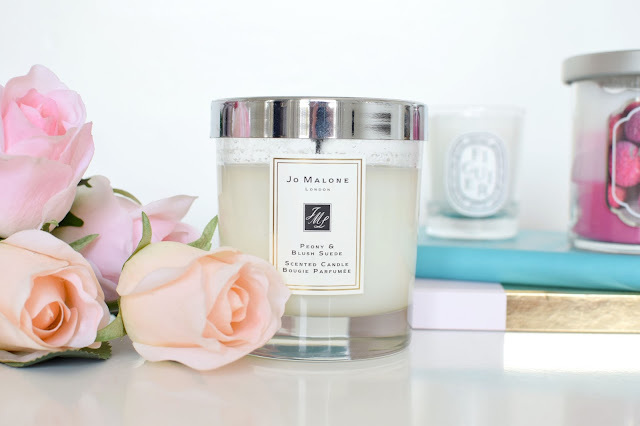 First off is a gorgeous Jo Malone candle in the Peony & Blush Suede scent. Normally I don't like floral scents and this is maybe on the touch too floral for me, although it's still fresh and great for the Spring. Next is a Diptique candle that I've been eyeing up forever! I've been trying to branch out from my sickly sweet scents so this one is the Figuier scent, it's a gorgeous fresh milky fig scent. Finally is one I picked up from TK Maxx from the brand Everyday Luxe in the Coconut Lychee Smoothie scent, creamy and fruity and so cute! 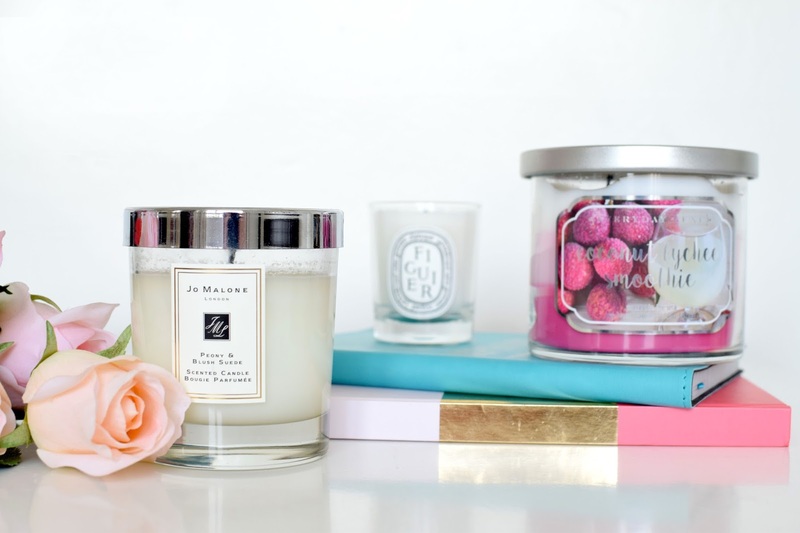 What are your Spring candle favourites? Love the sound of these. I have the Peony & Blush suede perfume but I bet it's beautiful in candle form. One of my all-time faves is Seychelles from The White Company - it's very beachy/Summer holidays and I love it.